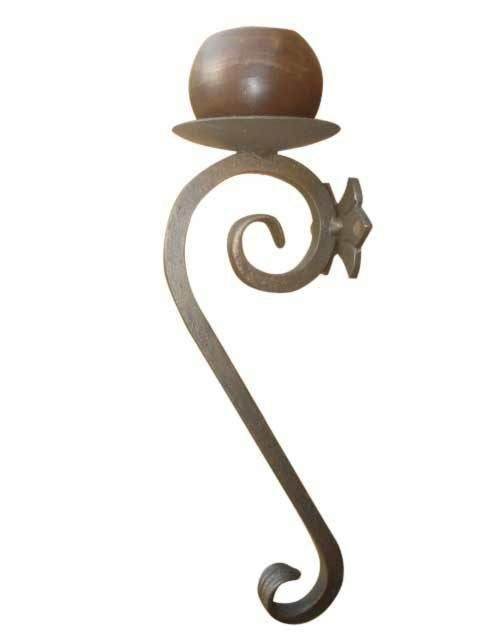 Unique Wrought Iron Candle Wall Sconce- handmade (not mass produced) for indoor or outdoor us. 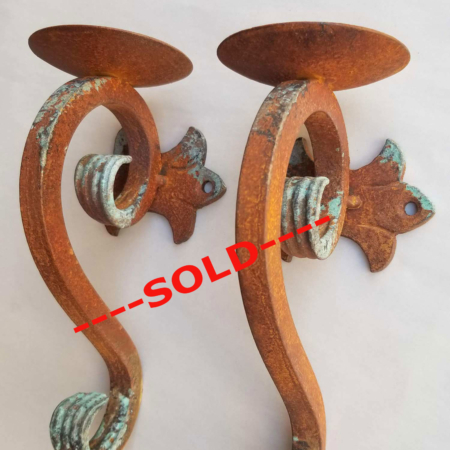 Several beautiful finishes to choose from in our hand applied coatings including Bronze, Copper, Nickel/Steel, Black, Nautical Brass and our standout Iron Patina’s. 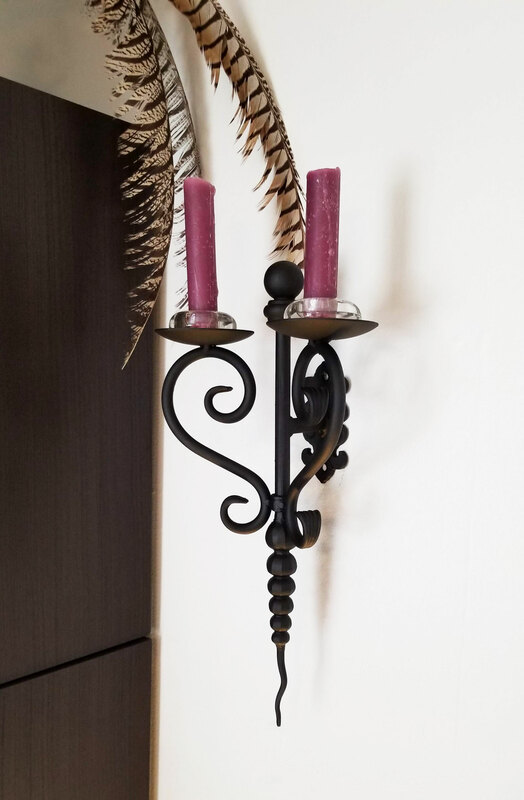 A beautifully crafted wrought iron candle wall sconce made with unique craftsmanship creating an enchanting statement in pillar candle holders. 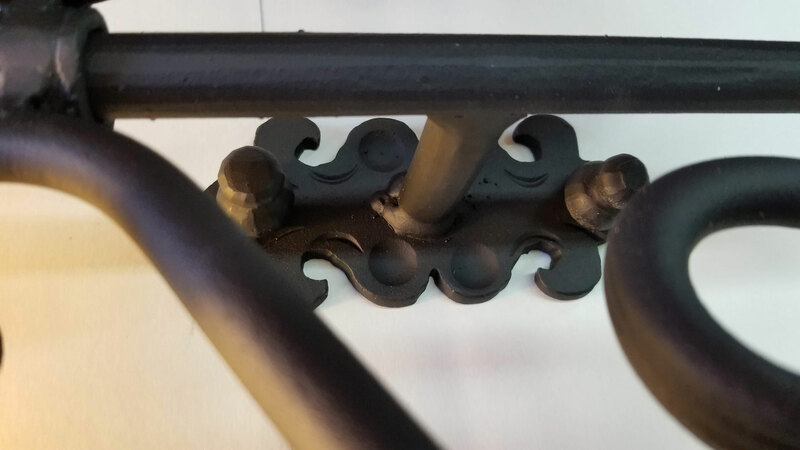 People have expectations in the things they purchase and many times are disappointed when they pull the product out of the box and see poor craftsmanship. Obviously, when purchasing products you want them to meet your expectations. 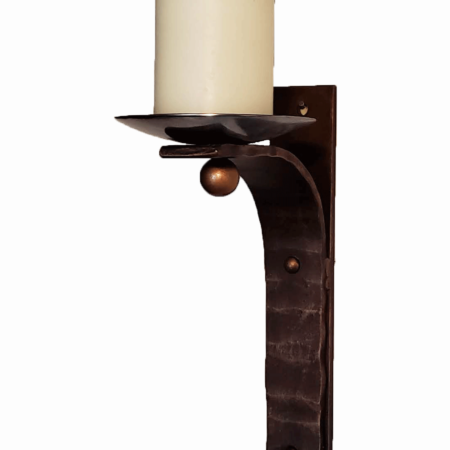 In order to achieve a custom-made iron candle sconce, it takes a person to make it. 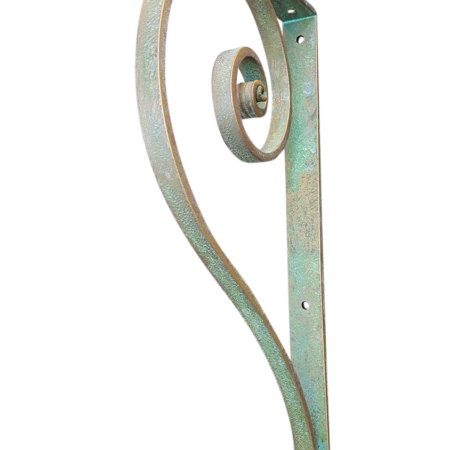 To begin with, our wrought iron candle wall sconces are handmade here in our studio. 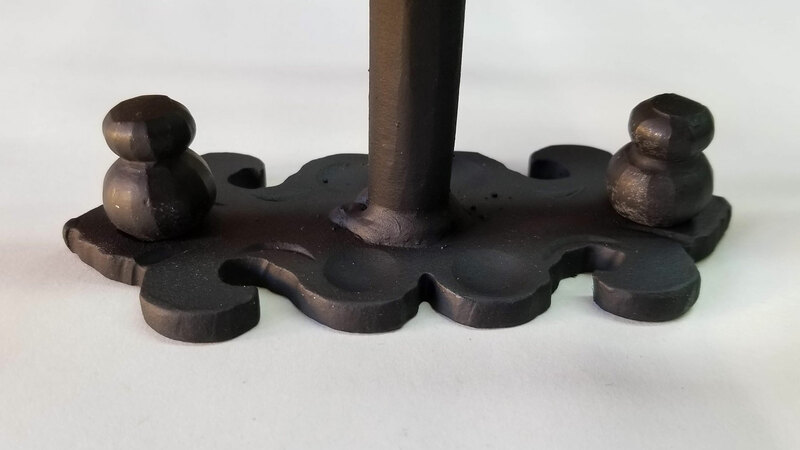 Unique craftsmanship in handmade pillar candle holders takes time to make and made with great skill. 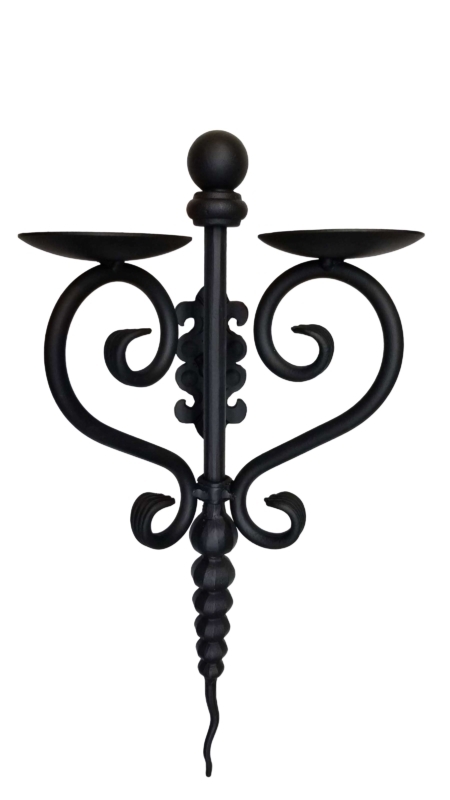 Needless to say, we are proud of this double cup metal wall candle holder. 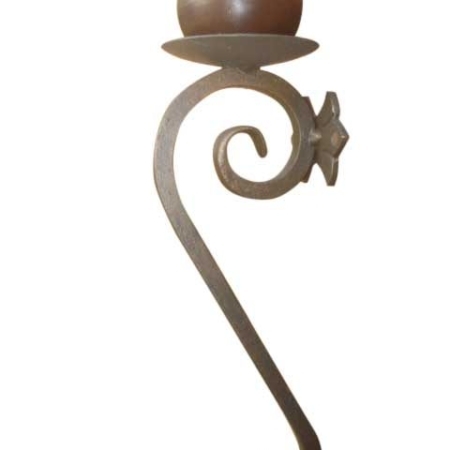 After hearing from John we hope you have confidence in placing your iron candle sconce order with us. 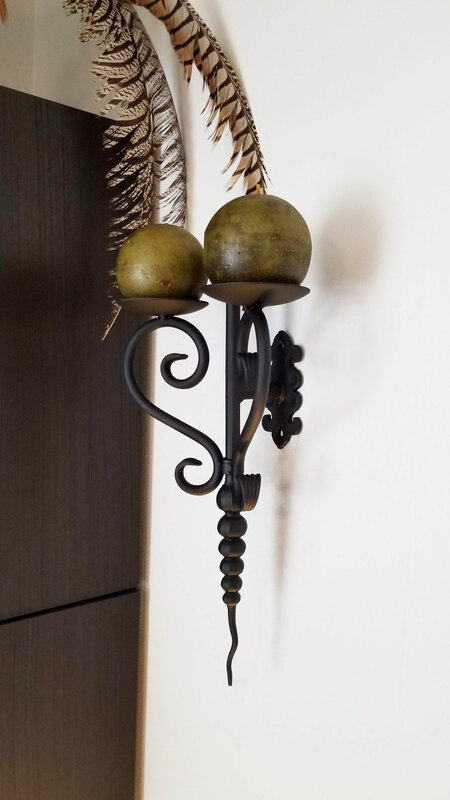 Along with selecting a beautiful handmade metal wall sconce, you have the opportunity to choose a hand applied the finish. 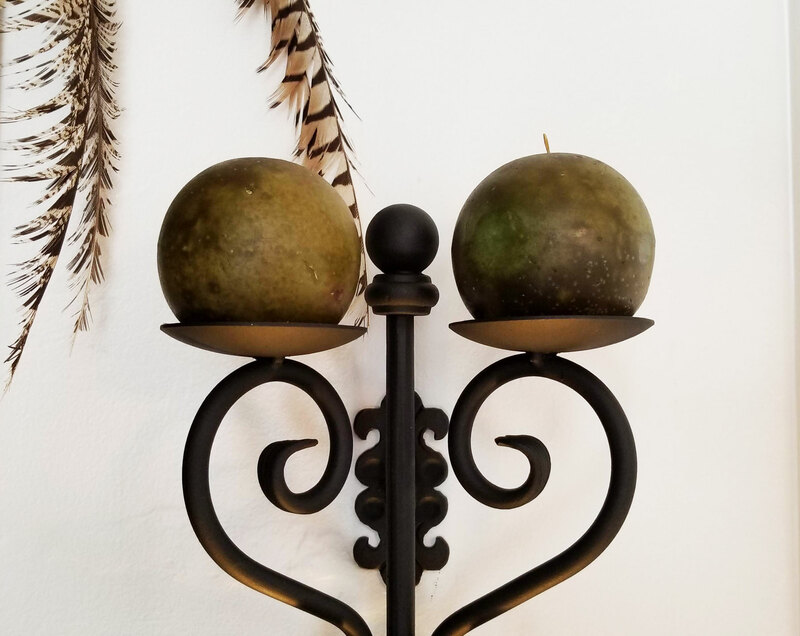 Not only does this iron candle holder look great as a black iron candle wall sconce it looks amazing in all our finishes. Any questions about our product? We welcome your call! Especially relevant to note, battery operated candles are a great idea for use on wall mounted candle holders. Battery candles are safe, easy to use, come in a variety of sizes. And, some battery candles have timers making them a great option.